Prison doesn’t have to mean a life sentence of bad credit. Credit building opportunities exist for all adults. Most people don’t plan to go to prison, yet according to a Bureau of Justice Statistics report, 1,561,500 people were incarcerated in 2014. 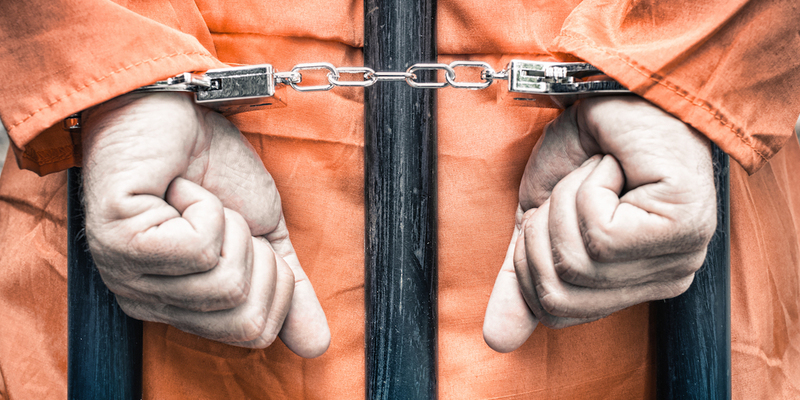 Of those prisoners, 53,000 were serving sentences of less than one year. Those serving longer sentences may not be concerned with credit scores or the impact prison has on credit history. However, for those 53,000 serving less than a year and undoubtedly thousands more serving under three years, credit history is an important factor to consider since it may come into play sooner than not. The good news is that a prison term will not be reflected on your credit history. Whether you served one day or 100 years, your credit history does not include incarceration information. Since a prison term isn’t reported on your credit history, then there’s no way for it to affect your credit score, right? It would be nice if it were that simple, but while a prison sentence may not appear on your credit report, it can have a profound impact on your credit score. This is because your credit score is the product of several factors, and some of these may be forgotten, neglected, or abused when an individual is in prison. Below are a few reasons that may cause a credit score to plummet for those in prison. The number one factor on your credit score is payment history. Over time, positive payment history helps build a strong credit score, but a late payment can quickly drop a score. For someone in prison, bills may be forgotten or overlooked for other priorities or payments like legal fees or fines. Once incarcerated, it’s difficult to make payments and manage your finances. Phone calls are expensive, and online bill pay is impossible. Even if bills are set to be automatically deducted from a bank account, someone must be able to manage that bank account or funds must be available in advance. Additionally, prisoners may have an inmate account, but law does not allow for the transfer of funds out of these accounts. Soon, a missed or neglected credit card or loan payment is reported 30 days late, then 60, then 90, each report causing further damage and creating a deeper hole. The best way to avoid these destructive consequences is to take care of all financial matters before prison. However, not everyone has the option to settle affairs before checking in. In those cases, it’s important to find someone you trust to handle your finances and accounts, preferably a professional and reputable financial manager. But if we’re being realistic, that’s not a possibility for a vast majority. In that case, finding the right family member or friend is key. Here’s the other unfortunate drawback: finding the right friend. The sad truth is that inmates are sometimes taken advantage of by those they’ve trusted and there’s little that can be done. The wrong person may run up credit cards, neglect paying bills, or steal from bank accounts while the victim lies powerless in jail. Derogatory marks are negative notations in your credit report that reflect some sort of delinquency or non-payment. These quickly damage your credit score and there is no quick fix for a derogatory mark. In addition to destroying a credit score, derogatory marks send a message to lenders that you may not be able to pay or fulfill your financial obligations. The first derogatory mark you may receive is the “30 Days Late” mark. For an individual in jail, this often creates a domino effect, especially if there is no one handling accounts or receiving mail. If a credit card goes unpaid for an extended period of time, not only do you have the multiple late payment reports, but an account may be closed. Unpaid loans can result in default or foreclosure. Unpaid bills can go to collections. Each of these is a separate, damaging mark on a credit report, and most will stay visible and continue to impact the credit score for seven years. Other derogatory marks that may follow are default, repossession, foreclosure, or bankruptcy (if you file). Each of these is particularly damaging and carry consequences beyond simply lowering a credit score. For example, a default on a student loan may bear multiple consequences. The entire amount to be due immediately. You will no longer be eligible for payment deferment or repayment plans. The debt could be reported to a collection agency, another derogatory mark, and you would lose eligibility for other federal loans. Taxes could be withheld or wages garnished if you do have a job once released. And there are more effects. Repossessions, foreclosure, and bankruptcy could prevent any further approvals for loans or credit cards, and may cause you to pay large deposits or high interest rates for services like utilities, insurance, or cell phone plans. Once your credit is shot and the fees, deposits, and interest rates begin to pile up, it feels like you’re falling into a financial pit that keeps getting deeper and deeper. What to do about your credit. The best thing to do to protect your credit is to be proactive. For those who have a scheduled date to check in to prison, the best option is to make arrangements to pay bills and manage finances before entering prison. Finding a trusted financial manager is key, and finding a professional is preferable (as state above). If you happen to have limited release or work release, attempt to find a couple minutes in this time frame to settle affairs or pay bills. The most important factor in your credit score is payment history, and just one bill reported late can damage your credit score. So get those bills paid on-time. If you cannot make a payment, call the company and inquire about a payment plan to avoid late reporting. Keep in mind that you are not required to tell any creditors or lenders that you a going to jail, and this information does not appear on your credit report, so you may not want to volunteer it. Most individuals in jail do not have the option to settle affairs before or during their time in prison. And in many cases, those in prison are unable to make payments or arrangements, and some are even taken advantage of like we discussed before. These individuals often leave prison with credit scores that have been destroyed due to lack of payments and all the consequences that follow. What are their options? It’s time to start building credit again. There may be late payments, default, debt collection, repossession, or foreclosure on your credit report. These are certainly damaging, but they are not permanent! Every person has the opportunity to improve his credit score. Most negative marks will disappear from your credit report within seven years. With a little patience, those negative marks will soon be washed away with time. There are also some steps you can take to start building credit and adding positive marks to your credit score. If you have derogatory marks, contact the companies directly for some options. Ask if you can make payments and possibly have negative reports removed. Be extra nice and understanding: they are a business with certain rules and regulations. You agreed to these rules, and now you’re asking for forgiveness for breaking one of their rules. The company is under no obligation to grant your request, but it’s worth asking. After making a few payments, you may want to draft a Goodwill Letter. Sometimes the companies respond better to physical letters. Debt collectors have one priority: getting their money. The good news for you is that a debt collector must operate within certain guidelines. They cannot contact you before 8 a.m. or after 9 p.m. without your permission. They are also not allowed to contact you at work if you ask them to stop. Furthermore, excessive calling, abusive language, and false threats to sue or garnish wages are not allowed. When dealing with debt collectors — or any company — keep a record of your conversation. Write down names, date, time, and notes about the conversation. Keep your conversation to a minimum; you don’t need to explain yourself or your situation. Negotiate. Debt collectors want to get paid, and some payment is better than no payment. And debt collectors will often take pennies on the dollar. Start by offering 10% of the amount owed. Again, you don’t have to get into a detailed explanation, but you can express that you want to be in good standing and can’t pay the entire balance. Then begin negotiations. You may be able to negotiate a price that is only 30-50% of the actual debt. However, the debt collection is not erased from the credit report after it is paid off. To have it removed, write a letter to the company asking for a removal. Remember, ask nicely. They are not under any obligation to do this. Now that we’ve discussed a couple ways to begin to clean up your credit history, let’s discuss a couple ways to begin to build a positive credit history. But we need to be honest with ourselves. If your credit is damaged from late payments, default, or other derogatory marks, and your credit score sits among the lowest scores, you’re not going to be approved for a loan or an unsecured credit card. So how do you build credit if you have low or no credit. You’ve heard these advertised from car loans to personal loans. The truth about no-credit loans is that you must be very cautious. Because these do not require a credit check, no-credit loans will often require large deposits or collateral along with very high interest rates. Oftentimes, these lenders will not report to the credit bureaus. For someone looking to build credit history, this would not help in that endeavor. Self Lender, on the other hand, offers a safe, affordable, and reputable way to build credit history. Self Lender’s credit builder account does not require a hard credit pull. Instead, it uses the ChexSystems consumer report which checks your relationship with banks. The credit builder account differs from a traditional loan, however. Instead of receiving money up front, the partner bank deposits a loan into a 12 month, FDIC-insured CD. It remains here while you make monthly payments toward the loan, all of which are reported to the three credit bureaus. When the loan is paid off, the CD unlocks with your funds, and it’s even collected a little interest while in waiting. Not only have you begun building credit history, you’ve saved money. All this for no more than 14.77% APR, a far better rate than the vast majority of other no-credit loan options. Secured credit cards are a popular option for their flexibility, immediate access to funds, and credit building opportunity. Like the credit builder account and non-secured credit cards, secured credit card payments are reported to the credit bureaus every month. One difference between a credit builder account and a secured credit card lies in how the card is “secured.” The term “secured” means that the the funds are in some way protected in case of non-payment or default. A secured credit card will require a large deposit, usually $200 or more. In most cases, this deposit will then equal your credit limit: if your deposit is $200, your credit limit is $200. If you max out your secured credit card and can’t make payments, the credit card company already has enough money to cover the cost. Additionally, there are often large annual fees for having a secured credit card, though not always. The Self Lender account only has one initial cost, a $12 administrative fee. The account is secured by itself: a loan is locked in a CD until it’s paid off. If there’s a default, the CD is simply closed, the customer gets back the money she paid minus any fees or interest, and the bank receives the remainder to pay off the loan. This allows Self Lender to keep interest rates lows while offering you payment reporting to all three credit bureaus. Establishing and building credit is a long process for everyone. Like anything, prevention is the best medicine. However, not all situations allow one to be proactive in maintaining finances, especially if that person is in prison. Whatever the case may be, it is possible to build credit at any point in your adult life. With a little time, patience, and responsible practices, anyone’s credit score can be excellent.